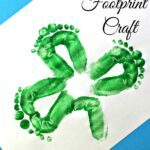 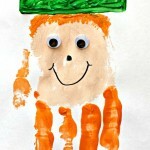 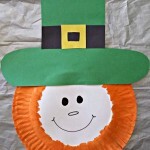 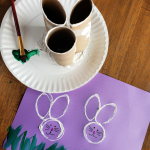 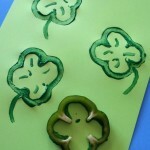 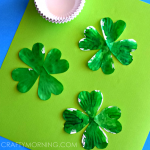 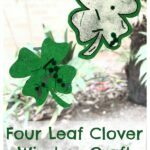 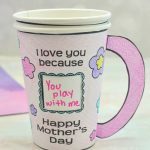 Today I ran across this adorable shamrock handprint craft for kids to do for St. Patrick’s Day! 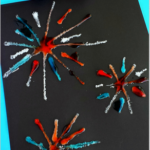 This art project was done in a classroom and I bet the kids had a blast making them! 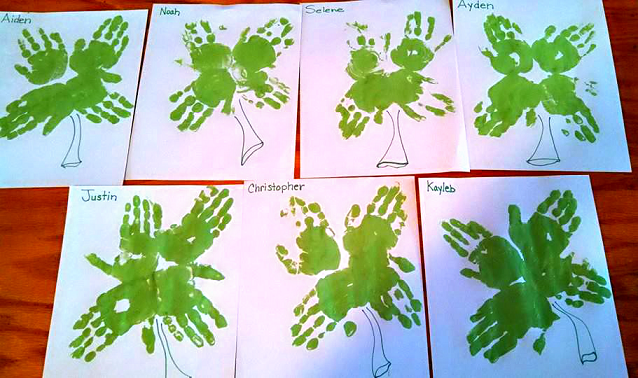 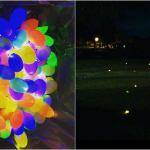 All you need is white paper, green washable paint, and a black sharpie. 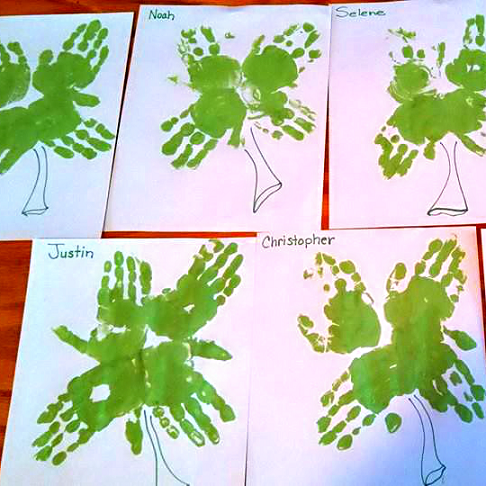 Have the kids paint their own hands green and stamp it 4 times in the shape of a 4 leaf clover. 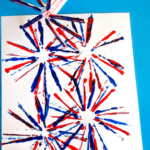 After it dries, draw on a stem! 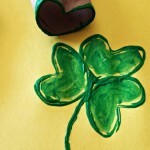 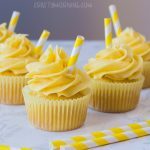 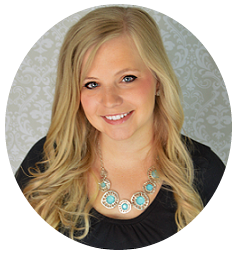 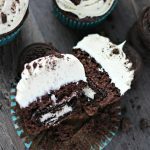 Thanks to Jenny for letting me share!